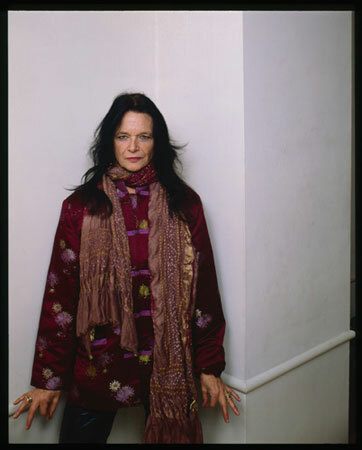 Internationally recognized and acclaimed poet Anne Waldman has been an active member of the “Outrider” experimental poetry community, a culture she has helped create and nurture for over four decades, as writer, editor, teacher, performer, magpie scholar, infra-structure curator, and cultural/political activist. Her poetry is recognized in the lineage of Whitman and Ginsberg, and in the Beat, New York School and Black Mountain trajectories of the New American Poetry. Yet she remains a highly original “open field investigator” of consciousness, committed to the possibilities of radical shifts of language and states of mind to create new modal structures and montages of attention. Her work is energetic, passionate, panoramic, fierce at times. She is the author of more than 40 books, including the mini-classic Fast Speaking Woman, a collection of essays entitled Vow to Poetry and several selected poems editions including Helping the Dreamer, Kill or Cure and In the Room of Never Grieve. 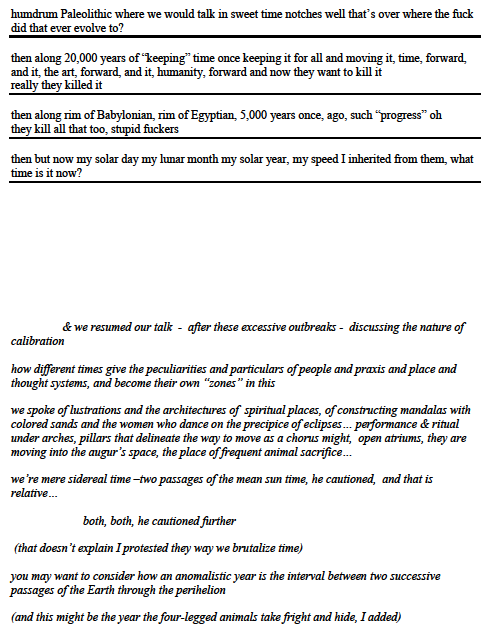 She has concentrated on the long poem as a cultural intervention with such projects as Marriage: A Sentence, Structure of The World Compared to a Bubble, Manatee/Humanity which is a book-length rhizomic meditation on evolution and endangered species, and the monumental anti-war feminist epic The Iovis Trilogy: Colors in the Mechanism of Concealment. She was one of the founders and directors of The Poetry Project at St. Marks’s Church In-the-Bowery, working there for twelve years. She also co-founded with Allen Ginsberg the celebrated Jack Kerouac School of Disembodied Poetics at Naropa University, the first Buddhist inspired University in the western hemisphere, in 1974. Ginsberg has called Waldman his “spiritual wife”. She is a Distinguished Professor of Poetics at Naropa and continues to work to preserve the school’s substantial literary/oral archive She has edited and co-edited many collections based on the holdings of the Kerouac School including, Civil Disobediences and Beats at Naropa. She is also the editor of Nice to See You, an homage to poet Ted Berrigan, The Beat Book, and co-editor of The Angel Hair Anthology. She has been a fellow at the Rockefeller Foundation’s Bellagio Center, a fellow at the Civitella Ranieri Foundation in Umbria, and has held the Emily Harvey residency in Venice. She has worked at the Institute of American Indian Arts in Santa Fe and at the Women’s Christian College in Tokyo, She has presented her work at conferences and festivals around the world, most recently in Beijing, Berlin. 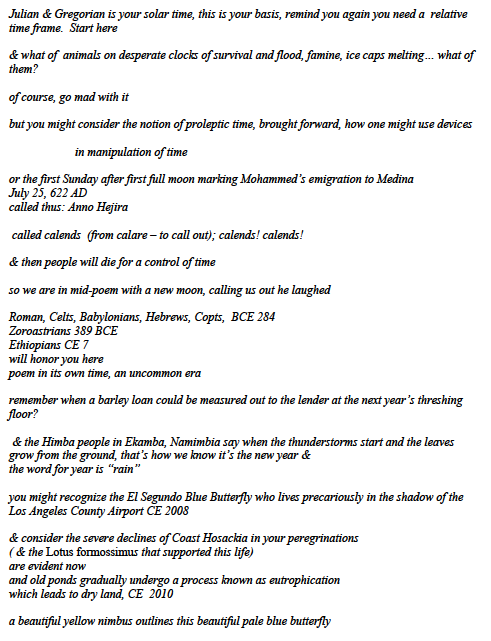 Nicaragua, Prague, Kerala, Mumbai, Calcutta, Marrakech, and Madrid. Her work has been translated into numerous languages. 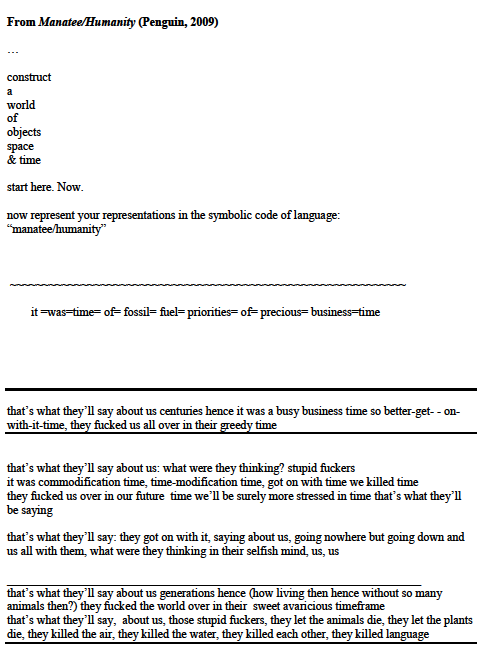 “Waldman’s work is the antithesis of stasis…She is a flame. ” as one reviewer has noted. She has also collaborated extensively with a number of artists, musicians, and dancers, including George Schneeman, Elizabeth Murray, Richard Tuttle, Donna Dennis, and Pat Steir , and the theatre director Judith Malina. Her play “Red Noir” was produced by the Living Theatre and ran for nearly three months in New York City in 2010. She has also been working most recently with other media including audio, film and video, with her husband, writer and video/film director Ed Bowes, and with her son, musician and composer Ambrose Bye. Publishers Weekly recently referred to Waldman as “a counter-cultural giant”. Waldman is a recipient of the Poetry Society of America’s Shelley Memorial Award, and is a Chancellor of The Academy of American Poets. Her latest book is The Iovis Trilogy, Coffee House 2011. She divides her time between New York City and Boulder, Colorado.